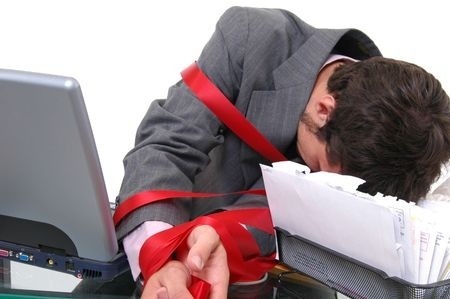 In the last quarter of 2014, Deloitte Australia released their report into the productivity challenges of red tape. Australians have a mixed response to rules. When something seems confusing we want more rules – just recently for example, about what clothing you can wear to Parliament House. We also loved the book – “First Break all the Rules”. We all know people at work who do not follow rules – it’s cute until you turn two. And we all have experienced working with those who only follow rules, which is not cute at any age. Maybe the convict backgrounds of some Australians explains our ambivalence? Despite the ambivalence, Deloitte figures that one in every 11 employed Australians now works in the compliance sector. This makes the compliance sector a greater employer than the education, construction and manufacturing sectors. Some progress for a country colonised on non-compliance! The Deloitte study focused on the written rules of the workplace. There are also the unwritten rules. Sometimes called the unwritten ground rules. Unwritten rules may be helpful and contribute to how people can deal well with each other at work. Some unwritten rules are not helpful, and cover those behaviours we feel we have to tolerate at work, and would rather not. Many times the unwritten rules mean that one may break a written rule and there will be no consequence. Identifying unwritten rules is best done by having work groups talk about how things get done, what is talked about, how they work with each other and with other business units. Once the unwritten rules are identified you can then apply some of the techniques for reviewing rules advocated by the Deloitte report. Here are some rules for rules. Does the rule overlap with others? Are staff unclear about which rule has the higher priority? Challenging and reducing rules demands candid conversations. The ideal is fewer rules, repeated often, consequences unambiguous, and compliance made easy. One in every 11 employed Australian employees in the compliance business? Who’s looking at you now? Joe is the founder and principal of Kimber Moore & Associates. He and his team are highly skilled in helping leaders and staff deal with uncertainty, change, complexity and conflicts. You can contact Joe here. ← Is This Your Year of the Ninja?